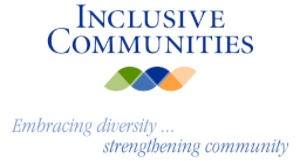 Inclusive Communities confronts prejudice, discrimination, and bigotry. $50 dollars provides IncluCity campers the bedding they need. A 7th grader at Millard Central Middle School who participates in the school's IncluCity Middle Club: Handprint, is just one of many students that have been affected positively by Inclusive Communities programming. Handprint is an afterschool diversity and inclusion education club for students. The group meets twice a month and has allowed this student and his colleagues to attend a diversity training at UNO, take a team-building high ropes course at Camp Carol Joy Holling in Ashland, NE, and participate in tough conversations about bullying, stereotypes and the current social and political climate among other activities. This one-of-a-kind Inclusive Communities program has encouraged this student to acquire the necessary tools to combat bullying in his school. "I'm only twelve and I've experienced things that normal people at my age couldn't imagine going through," says the student, adding "through Handprint, I think we can reach out to show each other that we are not alone and that other people know and care about what we're going through." Ultimately, the educational programming Inclusive Communities hosts in schools in Omaha, Council Bluffs and the Dakota regions help reduce bullying in school and allow students to become advocates for themselves and others. "I think every school should invest in a club like Handprint and other clubs like it to make the world a better place for kids and adults alike," says concludes the 7th grader.